Last week, I had the privilege to spend a few days at the Grand Lucayan Resort on Grand Bahama Island as part of a culinary press trip. This was my first time in Grand Bahama (and the Bahamas in general! ), and I loved being able to explore and taste and experience a tiny bit of what that beautiful island has to offer. I'll be sharing more about my trip soon, but I first wanted to share this special cocktail with you. 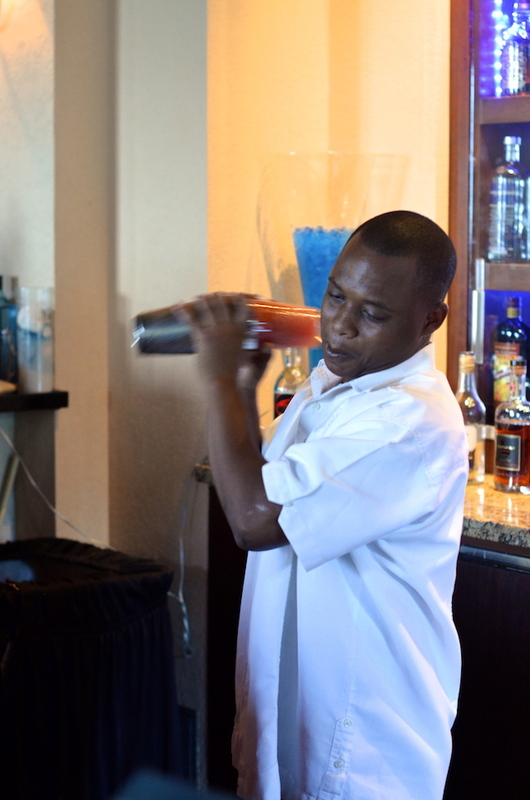 On the third day of my trip, the other journalists and I were treated to a private island mixology class led by Prince, the resident bartender at Havana Cay--a gorgeous, cozy cocktail and Cuban cigar bar located on the resort. 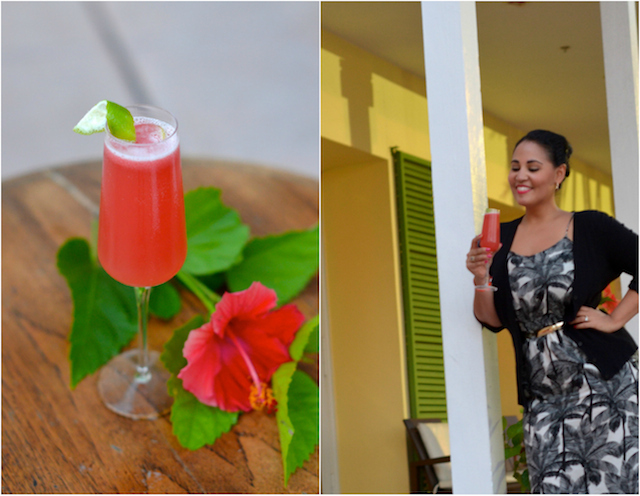 Prince went through three of the most popular cocktails they serve on island, including the Bahama Mama (of course! ), Goombay Smash, and the Hurricane. He also talked about how one of his favorite things to do is create original cocktails for his guests. He asks them what they like, how they're feeling, and their favorite flavors, and then whips up a totally personalized specialty cocktail. Hearing this, I knew I had to take advantage, and challenged him to make me a special drink. 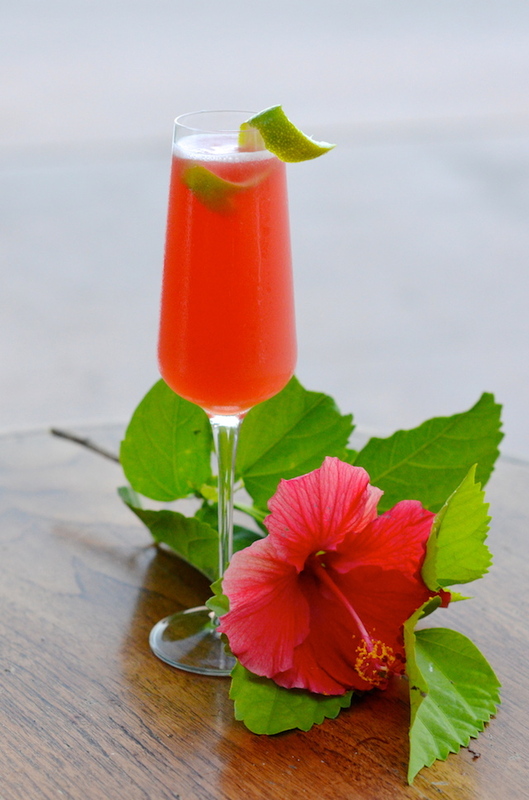 I requested a refreshing rum-based cocktail with sour citrus and tart flavors. He thought for a minute, then got to work behind the bar, adding a dash of this and a shot of that. 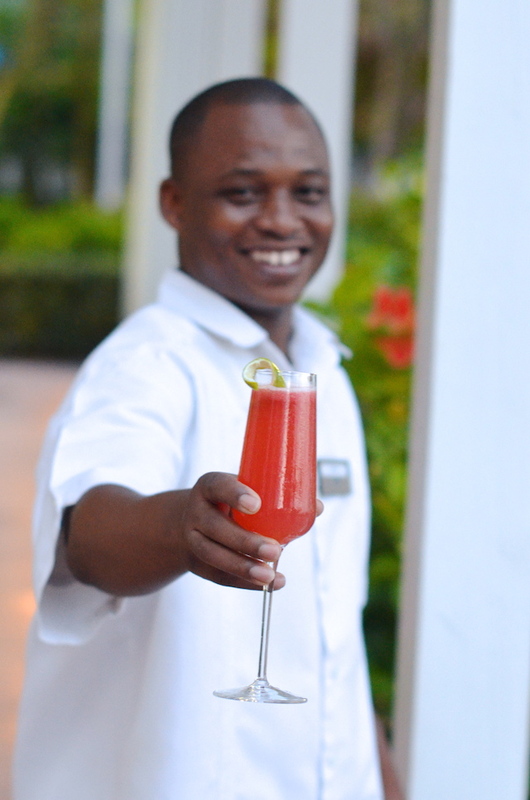 He shook it up, then served me a gorgeous bright pink drink you see right here. I took a sip. It was wonderful! He asked me what I thought, and asked for honest criticism, so I said that I'd actually love it to be even more sour, and recommended doubling the amount of lime juice while keeping all the other ratios the same. Prince whipped it up again with my changes (mind you--everything was totally in his head without a single note taken!) and served it. All the other ladies on the trip agreed it was a success, and he had us pick a name for the drink which he was now going to add to the bar menu. We chose The New Yorker (on Vacation), after me (aka a New Yorker on vacation!). 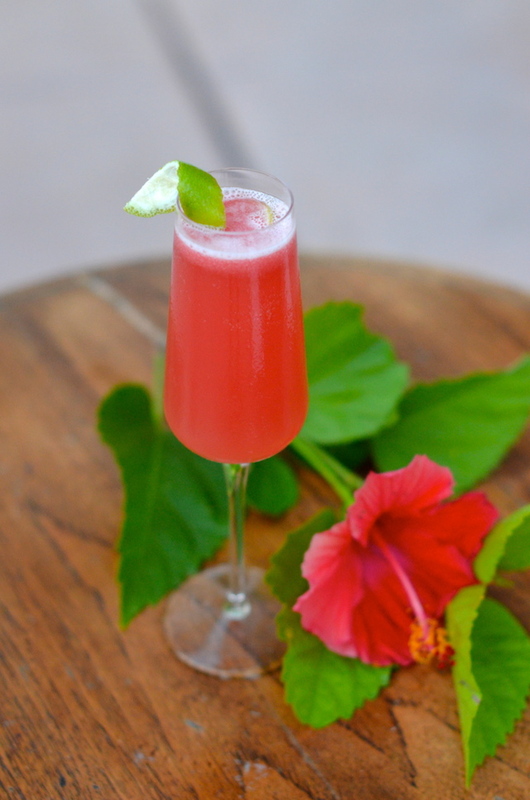 I suggested serving it in a chic champagne flute with a twist of lime peel, then I took it outside to photograph. 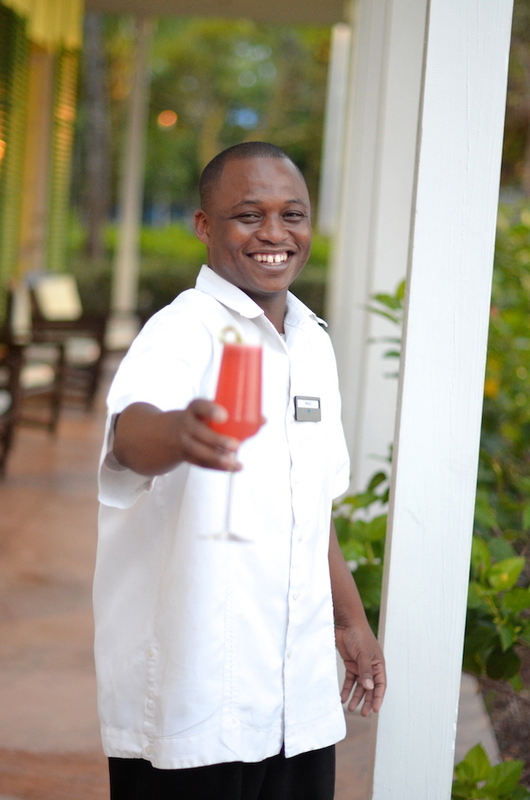 The cocktail is now available on the menu at Havana Cay in the Grand Lucayan Resort. If you visit and order it (and you should! ), take a picture and be sure to share it with me! Fill a large cocktail shaker with ice and add all the ingredients except for the lime peel. Shake until the shaker is frosty, then strain into two flute glasses. Garnish each with fresh lime peel and serve.